unspeakable atrocities – “It is a tragedy, what is happening, what Bush is doing. But Bush is now undermining the United Nations,” Mandela told the International Women’s Forum. 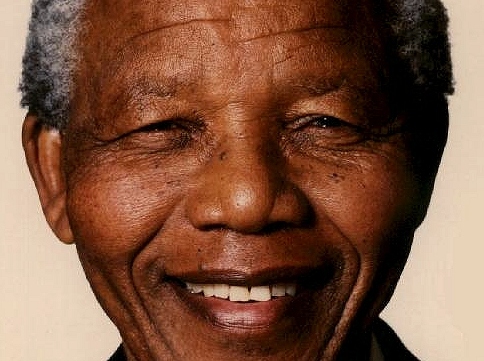 Mandela said he would support action against Iraq only if it is ordered by the U.N. He urged the people of the United States to join massive protests against Mr. Bush and called on world leaders, especially those with vetoes in the U.N. Security Council, to oppose him. “What I am condemning is that one power, with a president who has no foresight, who cannot think properly, is now wanting to plunge the world into a holocaust.” And that wasn’t all. He attacked America for its record on human rights and for dropping atomic bombs on Japan World War II. “If there is a country that has committed unspeakable atrocities in the world, it is the United States of America. They don’t care.” That brought an unusually subdued reaction from the White House (Mandela Slams Bush On Iraq). not a direct threat – “…No, it is not a direct threat to the Europeans. We are not ant-white, we are against white supremacy and in struggling against white supremacy we have the support of some sections of the European population and we have made this clear from time to time. As a matter of fact, in the letter we wrote to the then Prime Minister of the country, Dr Malan, before we launched the Defiance Campaign, we said that the campaign we were about to launch was not directed against any racial group. It was a campaign which was directed against laws which we considered unjust, and time without number the ANC has explained this . . . It is quite clear that the Congress has consistently preached a policy of race harmony and we have condemned racialism no matter by whom it is professed…” (Nelson Mandela’s Testimony at the Treason Trial 1956-60). joyous memory – It’s true that Mr. Mulroney and Mr. Mandela remained on good terms and the prime minister contributed to special funds that Mr. Mandela needed. Mr. Mulroney will always be able to claim that he played a greater role than most other Western leaders in the ending of apartheid. But it was far from the contribution he might have made. Besides the insult to Mr. Tambo and Joe Clark’s double standard about the use of violence, Nelson Mandela’s people never forgot that when their arch-enemy Mangothusu Buthelezi came to Ottawa in 1992, Mr. Mulroney was only too happy to agree to a smiling photo-op with him. This at a time when Mr. Buthelezi was colluding with the apartheid government in a ferocious and deadly battle against Mr. Mandela and the ANC. Equally troubling is the number of Canadian business-people who suddenly discovered, after Mr. Mandela’s release, their anti-apartheid bona fides and craved nothing more than a photo with the great man. In fact, the vast proportion of our business community had been either complicit or indifferent to apartheid. Some blithely invested in South Africa, many condemned the ANC as violent Marxists, many were simply oblivious to the issue, while some actually embraced black South African stooges who were conspiring with the dying white government against the ANC. It was Canadian civil society that played a heroic role in the struggle against apartheid. The Canadian anti-apartheid coalition –solidarity groups, NGOs, trade unions, churches, South African exiles – was one of the great international movements in our country’s history. 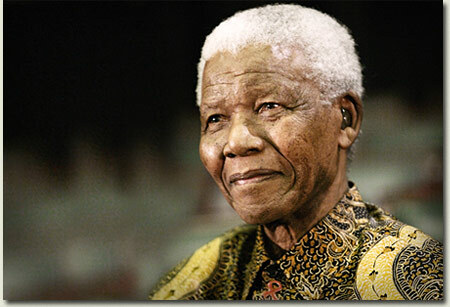 Tens of thousands Canadians were involved, and it is they who can take most satisfaction at the joyous memory, exactly twenty years ago, of watching Nelson Mandela walk free from his prison (Canada and Mandela: the story behind the myth).